Idyllic waterfront living at the exclusive Hidden Harbour community awaits at the stunning, new-to-market Mediterranean-inspired deepwater estate of 19 North Hidden Harbour Drive, Gulf Stream, Florida. This gorgeous luxury home totals 6,483± square feet in a spacious single-level ﬂoor plan that comprises four bedrooms, ﬁve full bathrooms, two half bathrooms, and a two-bay garage. Elegant architectural details, such as arches, columns, and vaulted ceilings, abound in the exquisite, recently renovated construction. Once you step through one of the many pairs of gorgeous French doors to the outdoor living space, you are greeted by a sizable loggia with columned arches, wide-water views, an expansive heated pool and spa, and an ipe deepwater dock with a boat lift. 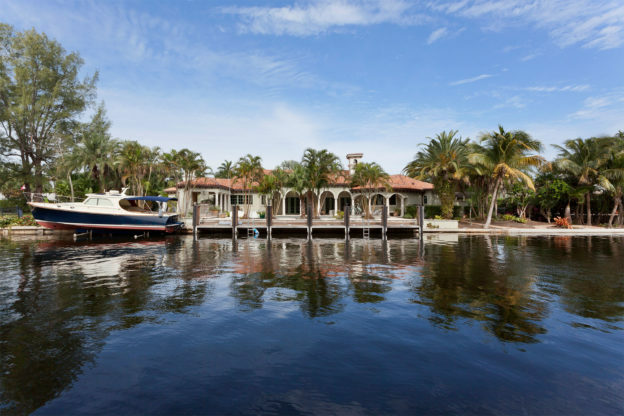 This estate fronts a peaceful canal that leads directly to the Intracoastal Waterway, just two properties away. 19 North Hidden Harbour Drive is for the discerning buyer looking for tastefully luxurious waterfront living. This ﬁne estate is oﬀered at $4.25 million USD. To inquire, please contact us by email at pascal@premierestateproperties.com or by phone at (561) 320-3109. This entry was posted in New to Market Estates on November 30, 2018 by Pascal Liguori. 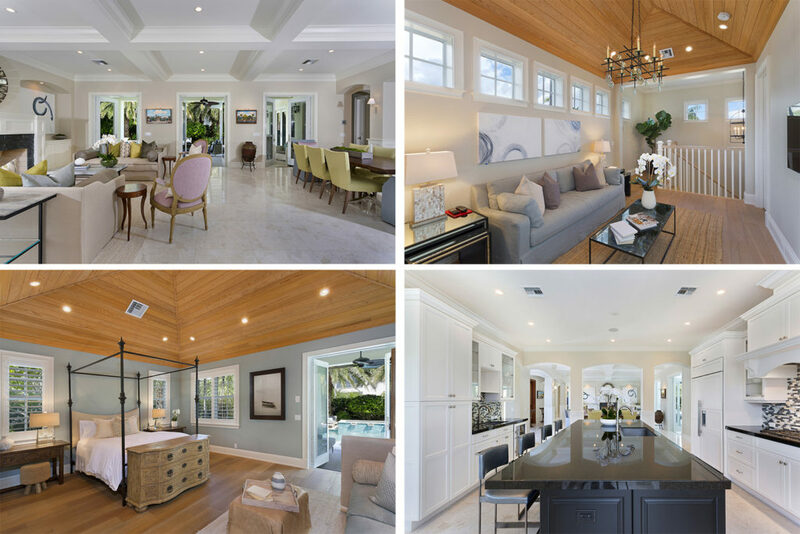 Just one block away from the serene sugar sands of Delray’s celebrated beaches, and one block away from the famed Atlantic Avenue, resides the spectacular new-to-market luxury estate of 106 Sea Lane. 106 Sea Lane is appointed with an expansive and tropically landscaped outdoor living space, which features a sizable sun-splashed pool, a raised spa, and a wraparound loggia with a full summer kitchen, outdoor dining, and outdoor seating. Casually elegant British West Indies-inspired style flows throughout this marvelous luxury home, which comprises four bedrooms (one of which can be converted into a study), four full baths, one half bath, a two-bay garage, a great room, and a custom chef’s kitchen; in a total of 5,494± square feet with 3,853± square feet of air-conditioned living space. 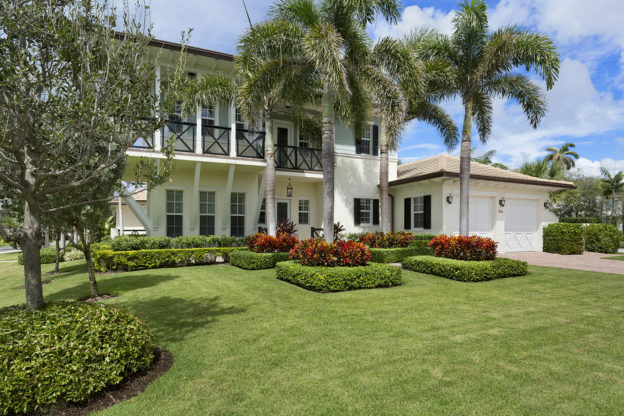 The stunning estate at 106 Sea Lane, Delray Beach Florida is offered at $3.675 million USD. To inquire about this beautiful new-to-market luxury residence, please contact Pascal Liguori by phone at (561) 320-3109 or email at pascal@premierestateproperties.com. This entry was posted in New to Market Estates on September 28, 2018 by Pascal Liguori. Pascal Liguori & Son is pleased to present the new-to-market Seagate estate of 707 Seasage Drive, Delray Beach, Florida. This sprawling estate was recently completely renovated by renowned South Florida luxury home builder Seaside Builders. This Florida Modern estate consists of five bedrooms, five full baths, two half baths, and a three-bay garage in a total of 9,804± square feet. The courtyard layout sets the stage for an awe-inspiring outdoor living space that comprises multiple verandahs, a full summer kitchen, outdoor dining, a spectacular, uniquely designed pool with raised spillover spa, and lush tropical landscaping. The one-of-a-kind sprawling luxury home of 707 Seasage Drive is offered at $4.975 Million USD. To inquire, please contact Pascal Liguori by phone at (561) 278-0100 or by email at pascal@premierestateproperties.com. This entry was posted in New to Market Estates on September 18, 2018 by Pascal Liguori.